We have been receiving an overwhelming amount of feedback regarding our ad placements on Fox News and when our ads air, specifically during The O’Reilly Factor. We wanted to address these concerns immediately, however, there are a few things people need to know. First, we are not what is called a general advertiser. General advertisers utilize an ad agency. The ad agencies are able to request when their client’s ads air. For instance, Forbes reported Mercedes-Bentz started removing their ads from the show as of April 3, 2017. They are a general advertiser who use an ad agency and are able to pin-point during which shows their ads air. For a full list of general advertisers who have removed their ads from The O’Reilly Factor, click here. We understand the concerns expressed regarding our ads being placed during The O’Reilly Factor. It is not our intention to minimize the allegations surrounding Bill O’Reilly. We do not condone the alleged behavior, nor do we choose to support him in any way. It is important our customers understand, our ad placements are out of our control. We do not have an ad agency to decide when our ads air, nor do we purchase ad space based on programming. We hope our supporters understand our stance, as well as our advertising methods a bit better now that they have been fully explained above. Press advertising, O'Reilly, pc matic. permalink. I stand with Sean Hannity. Please do not politicize your business. Consumers do not want this in the marketplace. Thank you. I will not be renewing my PCMatic membership for the upcoming year due to your advertising on Sean Hannity’s show. I’m a conservative and regularly watch Fox News but feel Hannity’s constant promoting of false conspiracy theories is ultimately damaging the conservative viewpoint. @vivian: Amen@Jack Hurst: I stand with Hannity. Someone has to put the facts out there. Sorry, you don’t agree but that’s what is so wonderful about America. We can agree to disagree. I am a longtime user of PCTools. I came to your website to commend you for resisting leftist attempts to stomp out out Shawn Hannity’s voice, and for supporting freedom of speech in general. In light of your groveling I won’t do that. I may not even renew your “Made in USA” product. Cowards. You need to pull all your ads from FOX. I will now only consider your product in a very negative light because you advertise on the Sean Hannity show. He has shown what an awful person he is with his treatment of Seth Rich’s parents by making up a story that their son was murdered by the Clintons for giving her emails to Wikileaks. How low can you go? Ummmmm. You do realize that all that “fedback” you’re receiving is from bots, right? Do you really think anyone cares which show your commercials run on? It’s a highly organized lefty campaign designed to destroy all conservative voices. Ignore them. I came to your website because I had viewed your commercials on FOX. I am an avid viewer of FOX. I don’t want political correctness but, rather the service you provide, which helps both ends of the political spectrum. I wish the people trying to persuade you in either direction would just fall off the earth period. I will purchase your product for what it is, and based on the good reviews I have read. Today, I came within a whisker of a ransom event on my computer by a company that I have conducted business for over two years. They tried to place lock on my computer and suggested that because I gave them remote control of my computer (ostensibly to service it), that It was tantamount to an open allowance to do as they wish. I was offered a security software program and if I didn’t buy it, they would simply make my computer so I could not log on. They even suggested I throw away my computer as they simply could not allow me to continue using this computer, that had been under their service contract in the last two years. I found this company under a recommended registry from Microsoft two years ago when I noticed a slowing on my computer. I want to report them on a more widespread basis, to avoid other potential victims.This company (foreign) needs to be exposed and I hope joining your clientele will be a first step in protecting myself and ridding that company of another victim and revenue source. So, please keep on doing what you do best and shake off these political hacks trying to bully you from doing the right thing. Your excuses are very weak at best. Try something like calling Fox and explaining that you “do not want your ad’s on O’Reilly”. Explain further that you are “a dissatisfied customer” and you need them to help you out. If they can’t help you as a customer, take your business elsewhere. Your advertising on O’Reilly is a direct reflection of the core values of your company… and your customer’s don’t like what they see. I trully wish the men in the comments here standing by Bill O’Reilly came with a warning tatoo. I don’t want to be anywhere near any of you. I wouldn’t trust you with my kids or pets. 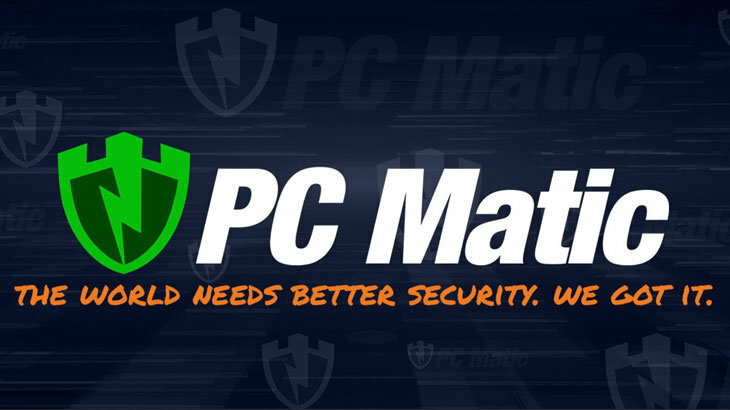 And PC Matic – I have been interested in trying and testing your product. I will not be doing so, nor recommending you to my client list. I know there are many ways to advertise and you are making a choice here. To the “innocent until proven guilty” crowd….Sure! Unless you settle first. Question for ya? Would you want your daughters working anywhere near this guy? How many cases now? And how little you must think of all the CONSERVATIVE WOMEN working at Fox – and those who have left due to an obviously horrible work environment. President P-Grabber has set the tone. It’s horrible. Fish rots from the head. And you supporters of Fox have lost your bearings. I truly hope you will find them. We are in deep deep trouble as a country. And remember – it’s country first….not network, party or TV pundit first. I cannot support companies which put profits before women. Just get back on the O’Reilly Factor, Please! I watch the show, as well as all the others, every day and night. I want to hear both sides of every issue, and the issues the news that ALL the other so-called news organizations will not cover, they are the arm of the democrat party. They form a narrative and mold the news to fit it. If there was no Fox, you would know ZIP. I don’t care about personal lives, the other organizations have the same issues, but they hide it better. For example, if I watch MSNBC, NBC, CBS, ABC, especially CNN, it just disappoints me enough to make me sick. Their focus is always on whatever makes conservative and republicans look bad. The left lies. Are you claiming you have so little control you can’t control where you advertise? This is not a good advertisement for your company at all. Route your ads to a different selection. Considering Fox itself is under investigation for the use of revenue to support payments of lawsuits concerning abuses of it’s employees, why would any company advertise with them? Are you another company with the philosophy money takes preference over the lives of people? Think – it’s your wife or your daughter who had been threatened to be quiet about being abused. Would this company then have a more caring attitude? I would highly recommend standing fast against the forces of the modern witchhunts and keeping your integrity intact. If and when a celebrity/news-organization/whatever that you advertise on and/or support is actually convicted of something by the American justice system (criminal or civil – you decide), then you can take action. We as Americans are supposed to believe that any person is presumed innocent until proven guilty. Acting due to pressure from knee-jerk political contingents is a sign of weakness. You have a great product, I suggest you prove you have integrity and belief in America and true justice by standing fast until such time as action is actually warranted by proven facts – not rage and PC innuendo. Why would anybody care what program you advertise on. A majority of viewers watch Fox News anyway. Making PcMatic a target for political reasons is extremely stupid. The majority of Americans are not progressive liberals. That’s why they lost the election. Get over it people. You are wrong pal. That’s why you and your party lost. Have a good day loser. Think about it Kayla. I have used PC Pitstop since around 2003/2004. I don’t want to hear why you are advertising and where. If you’re on Fox News, it could be your demographic is conservative so stop. Living in the UK I have no idea who this O’Reilly guy is but I do know my Facebook feed has had lots of comments about some issue or another with him. Personally I don’t give a stuff and just binned the comments since I don’t want them cluttering my feed from my outraged American contacts who probably need to grow a thicker skin and not be such snowflakes. I support you because I value your products. You can’t help where the adverts go when you buy them as explained in the article. Are you even serious to mention this? Will you explain why you advertise on CNN or MSNBC on your title? We buy your product because of what you have to offer and if you begin with politics millions will not like this. an independent voter, to explain why you advertise in Fox News is idiotic to say the least. I don’t even remember where I got to know your product. Again, the title on this post is stupidly and politically bias. We are tired of politics wherever we turn our head! Thank you for your feedback. We chose to explain our advertising methods due to the large amount of feedback we’ve received for our ads airing during The O’Reilly Factor. Since this show airs on Fox News, that is why it is listed in the title. It wasn’t an attempted political reference. @Jon Joe Lemenager: Jon, please reach out to our support team at pcmatic.com/help to change the account over to your name and credit card information. The team will absolutely be able to help you!